Acer wants a piece of the virtual reality scene and Starbreeze seems like the perfect partner. With its prospects in the PC market dwindling, Acer is apparently looking to diversify. 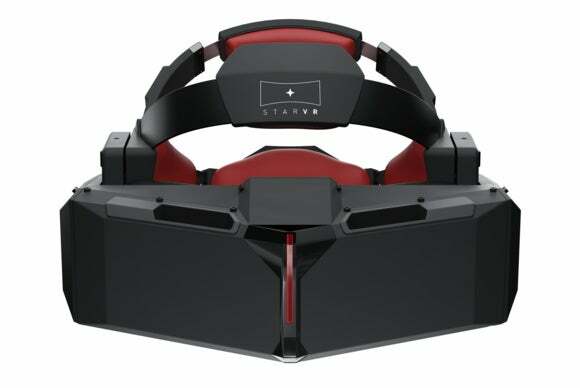 The company recently announced it hopes to join forces with Sweden-based game maker Starbreeze (creator of the Payday series) to produce the latter’s StarVR virtual reality headset. The StarVR Head-Mount Display (HMD)—as it’s officially called—is not as well known as the Oculus Rift, HTC Vive, and PlayStation VR. Nevertheless, it has a lot of PC enthusiasts very interested. The impact on you at home: The attraction for StarVR is that it promises a wider field of view (FOV) than the big players—210 degrees versus 110 on the Oculus and HTC Vive. The headset will also offer 5120-by-1440 resolution. Oculus and HTC Vive, by comparison, offer a resolution of 2160-by-1200. Starbreeze says these tech specs mean the headset provides a more immersive feeling with no sense of “wearing blinders” that other headsets might provide. Plus, the increased resolution means greater visual detail than is possible with its competitors. Those are some pretty big claims that have yet to be truly tested, as we haven’t had any eyes-on time with the headset yet. With the Computex and E3 tradeshows coming up in the next month that may change. The problem with StarVR is that the company behind it, Starbreeze, is relatively small. It can’t throw millions at its VR project the way Sony or Facebook-owned Oculus can. That’s why the partnership with Acer is key. The two companies are currently negotiating terms to create a join venture that would work together on the “design, manufacturing, promotion, marketing and sales” of the StarVR HMD. As Bloomberg first pointed out, Acer may not be winning in the PC market—it hasn’t posted year-over-year growth since 2010—but it does have more than $1 billion in cash to help produce the headset. Not to mention that Acer’s experience in hardware manufacturing will be a major asset. The pair have yet to finalize the arrangement, but it appears they two sides will be able to hammer out their differences. Both sides need each other, after all. Acer needs something to buoy its sagging fortunes and with VR apparently taking off that technology seems like a good bet—HTC is also going big on VR. For Starbreeze, a partner with hardware expertise and financial capability means StarVR can move from prototype to final product more quickly.